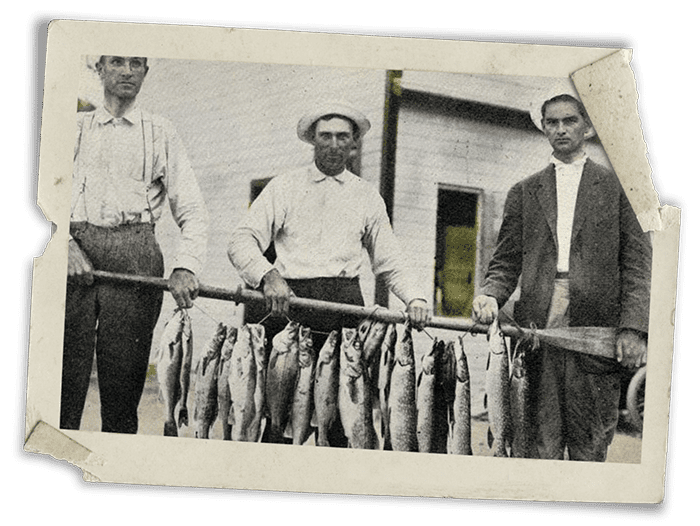 THE CAPTIVATING WATERS OF OKOBOJI have attracted visitors for many generations with an allure strong enough to make lifetime residents out of some and frequent returners out of everyone else. Around 1884, one such visitor was a man named W.S. 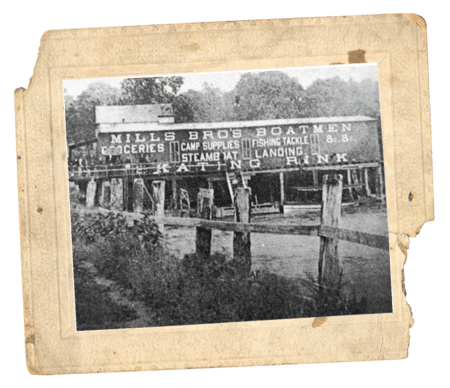 Wilson who, together with his sons, would create Wilson Boat Works and later acquire the adjoining and iconic Okoboji Store. For nearly 90 years and across three generations, the Wilson Family would be the careful custodians of the southern-most shore of Okoboji, providing supplies and a place to meet and socialize, delivering groceries by horse-drawn wagon, building boats bearing their name, servicing and renting boats and dock space, driving passenger steamboats, operating the swing bridge, and yes, doing a little fishing. 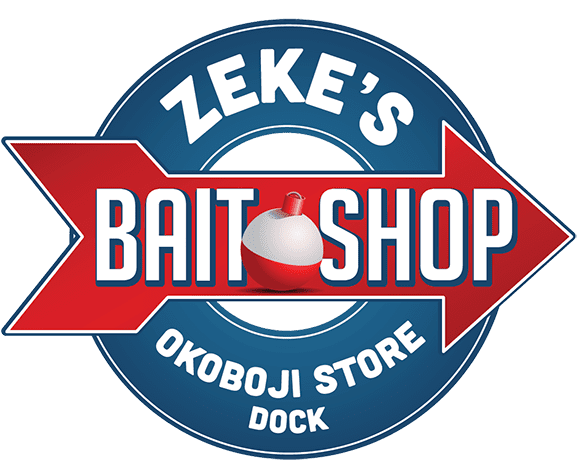 The convergence of rail, road, and water traffic made the Okoboji Store ideally located to procure supplies and stop in and catch up on the local gossip. 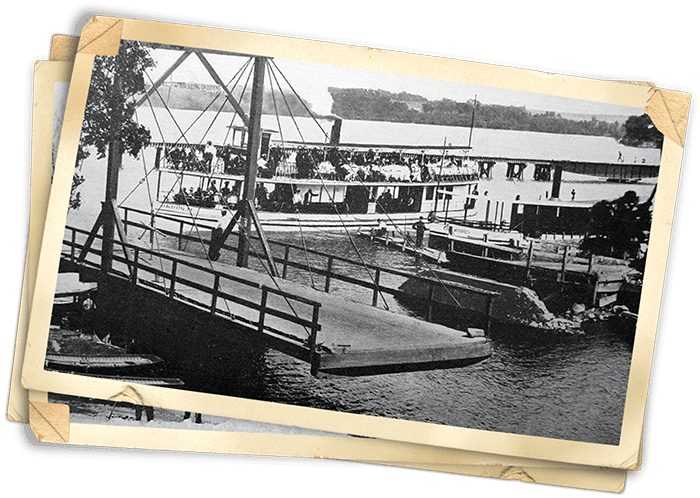 Early bridges which spanned the divide between Arnolds Park and Okoboji rotated or “swung” to allow steam boat passage between the lakes. A ride on the moving bridge was a favorite pastime for young and old alike. 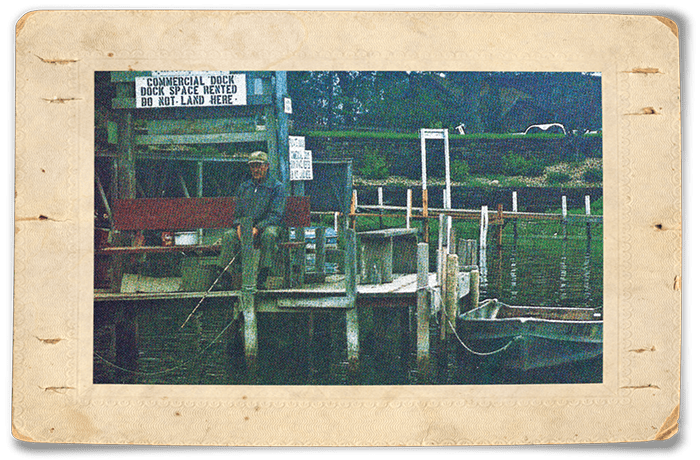 While bathing and boating were among the top amusements in Okoboji, at the Okoboji Store, fishing reigns supreme. This is one glory hole the locals cannot hide. 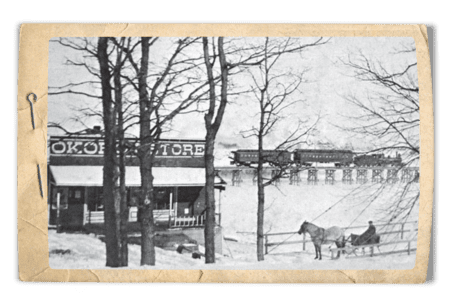 The original Okoboji store was built as a skating rink. In 1884 it was converted into a general store, post office, and boat rental and livery. 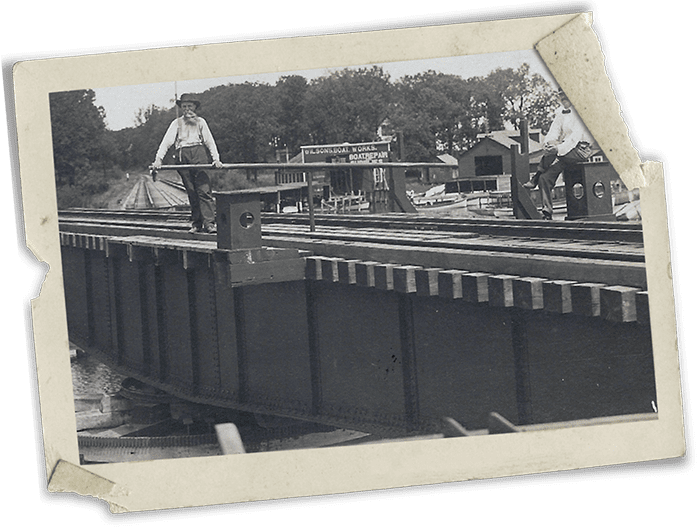 The arrival of the Milwaukee Railroad linked Okoboji to the rest of the world and ignited tourism. 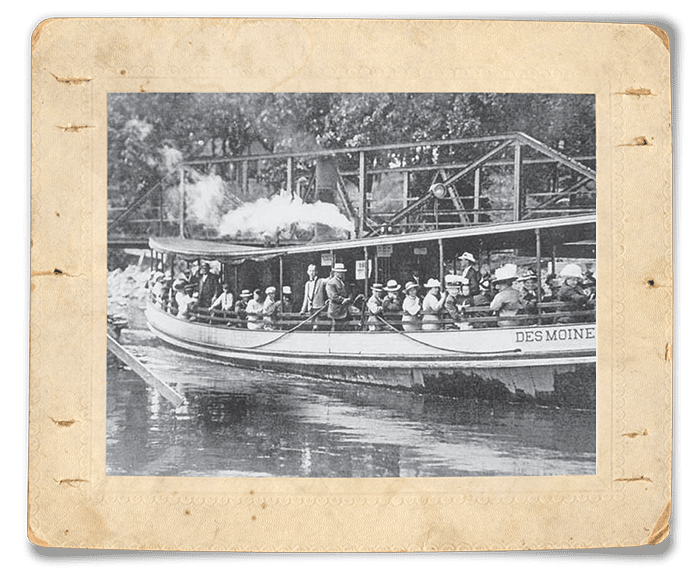 Steamboats were a popular form of entertainment and mode of transportation beginning in the late Hiawatha and the Queen were among the fleet of boats that embarked from the Amusement Park. 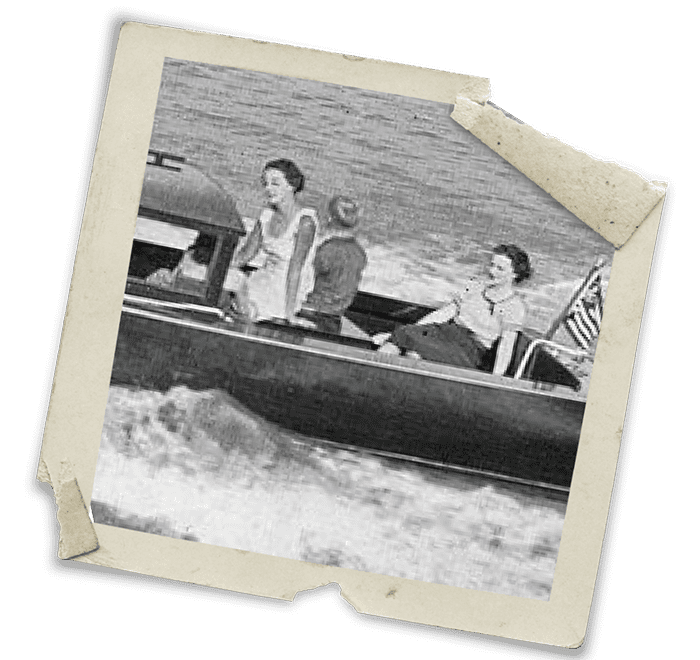 In 1926, Fred acquired the Chris Craft franchise and introduced Okoboji to some of the finest hulls ever built out of mahogany. A CENTURY after the arrival of W.S. Wilson, the lake would lure another family to her shores. 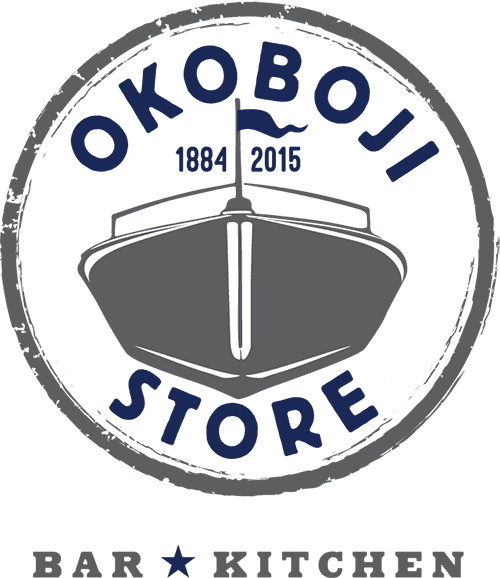 In 1988, the Mau Family would acquire Wilson Boat Works (now Mau Marine) and, as fate would have it, eventually add it to the adjoining Okoboji Store property. Once again operated by siblings (sisters this time) the operation rents, sells, and service boats, and perhaps most importantly, provides a place for residents and visitors to meet and socialize. Oh, and by the way, the fishing’s still pretty good too.